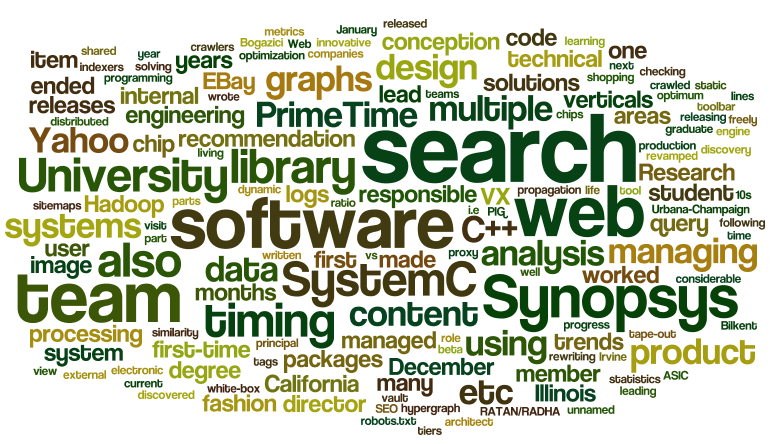 The Jan 2011 version of this introduction per wordle. 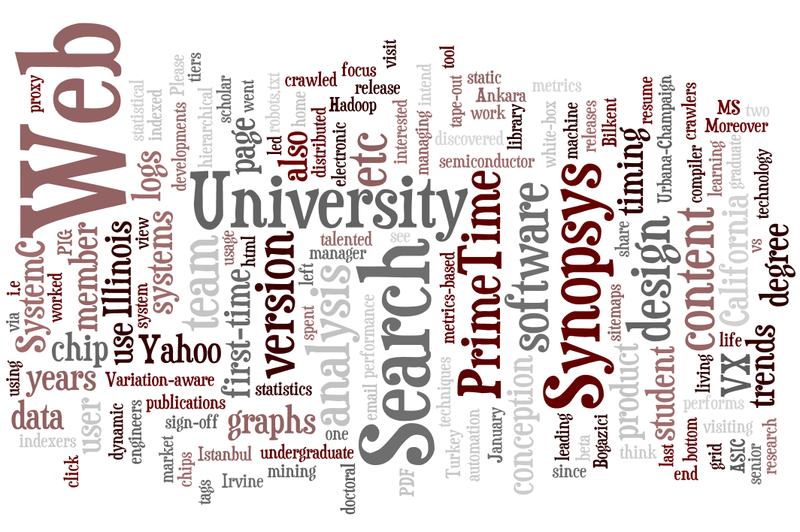 The Dec 2009 version of this introduction per wordle. I am the SVP of engineering at Turn, managing all of engineering and operations for Turn. My team is responsible for big data infrastructure and applications, applied science, applied science infrastructure, runtime distributed systems, front-end presentation and application development, middleware, APIs, quality engineering, site reliability engineering, technical solutions engineering, technical operations, IT, and the program management office. See my LinkedIn profile for a more recent bio. Also see my Github profile for some of the software I have created. More repos are coming as I find time to tidy up my software packages for publicly sharing. Before Turn, I worked on two startups as a cofounder and developer: kolayhizmet and dreamoid. Between 2009 and 2011, I was a director of engineering at EBay. I was managing the search and discovery team responsible for search, item and product views, internal and external services and APIs, reviews and guides, and search engine optimization (SEO). Before the this role, I ended up managing multiple areas and teams within a single year: For the first eight months, I managed the verticals team. We launched multiple releases of fashion, fashion vault, daily deals, and motors and parts verticals. We also made an innovative proposal on social shopping. For the next four months, I managed the applied search team responsible for query processing, image processing, and recommendation systems (internally known as merchandising). In a very short time, we revamped all three areas, proposed effective roadmaps, and released versions of query rewriting and spell checking solutions as well as item similarity by image and metadata. We also made considerable progress on solving the recommendation problem with multiple solutions. Before EBay, I was a hands-on director of engineering (senior principal architect) at Yahoo Web Search between 2006 and 2009, managing the internal data team. Our focus was white-box metrics-based analysis of web search systems (crawlers, web graphs, indexers, search and proxy tiers, etc), data from web search and other Yahoo properties (discovered and crawled content, hierarchical web graphs, indexed content, system logs, user click / view / visit logs, del.icio.us, toolbar, etc) and the trends on the web (static vs dynamic content trends, sitemaps / robots.txt usage, user tags, etc). We ended up using techniques from distributed systems on the grid (via Hadoop and PIG, ending up releasing the first production system on Hadoop in the summer of 2006), data mining, machine learning, web search technology, performance analysis, metrics, statistics, and more. Before Yahoo, I worked on the electronic design automation software, i.e., semiconductor chip design software, at Synopsys Research and Synopsys for 6.5 years. Before Synopsys, I was a doctoral student at the University of Illinois at Urbana-Champaign but I spent the last 3 years of my graduate student life at the University of California, Irvine as a visiting scholar. Before California and Illinois, I was living in Turkey. I went to Bogazici University in Istanbul for my undergraduate degree and to Bilkent University in Ankara for my MS degree. At Synopsys, I was the technical lead for the Variation-aware PrimeTime (PrimeTime VX) product from its conception to its first-time beta release. PrimeTime is the market leading timing sign-off tool for chips, and VX is the version that performs statistical timing analysis. I was also the technical lead for the re-architecture and rewrite of the core timing delay and slew computation and propagation module. At Synopsys Research, I was a team member of two first-time software product developments and releases (for SystemC library and SystemC compiler). You can still see my code in the SystemC library. 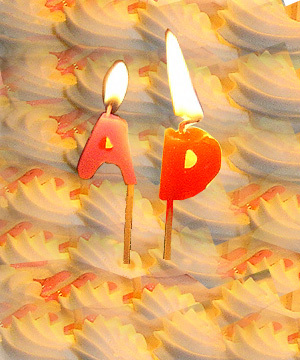 Moreover, I was a team member of one ASIC chip design from its conception to its tape-out. Since 1986, I have been programming and greatly enjoying it. I have written 10s of 1000s of lines of code in many languages and contributed to open source (e.g., see SystemC, a library to design and implement hardware in C++). Also check out my Github profile for the repositories I have open sourced.